Although educational practitioners have adopted social media to their online or mobile communities, little attention has been paid to investigate the social media messages related to online or mobile learning. The purpose of this research is to identify social media influencers and trends by mining Twitter posts related to online learning and mobile learning. We identified the influencers on Twitter by three different measures: the number of tweets posted by each user, the number of mentions by other users for each user, and the number of retweets for each user. We also analyzed the trends of online learning and mobile learning by the following perspectives: the descriptive statistics of the related tweets, the monthly and hourly line charts of the related tweets, the descriptive statistics of the related retweets, the volume trends of the most retweeted tweets, and the top 10 hashtags of the related tweets. The results of this study can provide educational practitioners different ways of understanding and explaining the public opinions toward online learning and mobile learning. Shen, C.w., Kuo, C.J. & Minh Ly, P. (2017). Analysis of Social Media Influencers and Trends on Online and Mobile Learning. The International Review of Research in Open and Distributed Learning, 18 (1),. Athabasca University Press. Retrieved April 23, 2019 from https://www.learntechlib.org/p/180483/. Baird, D.E., & Fisher, M. (2005). Neomillennial user experience design strategies: Utilizing social networking media to support “always on” learning styles. Journal of Educational Technology Systems, 34(1), 5-32. Borondo, J., Morales, A., Losada, J.C., & Benito, R.M. (2012). Characterizing and modeling an electoral campaign in the context of Twitter: 2011 Spanish Presidential election as a case study. Chaos: An Interdisciplinary Journal of Nonlinear Science, 22(2), 023138. Brownson, S. (2014). Embedding social media tools in online learning courses. Journal of Research in Innovative Teach, 7(1), 112-118. Cochrane, T., Narayan, V., & Oldfield, J.(2014). Emerging technologies in New Zealand: A pedagogical framework for mobile social media. In V. Bozalek, D. Ngambi, D. Wood, J. Herrington, J. Hardman, & A. Amory (Eds. ), Activity theory, authentic learning, and emerging technologies: Southern perspectives (pp. 126-143). New York: Routledge. Dabbagh, N. (2004). Distance learning: Emerging pedagogical issues and learning designs. Quarterly Review of Distance Education, 5(1), 37. Fortin, D., Uncles, M., Burton, S., & Soboleva, A. (2011). Interactive or reactive? Marketing with Twitter. Journal of Consumer Marketing, 28(7), 491-499. Frohberg, D., Göth, C., & Schwabe, G. (2009). Mobile learning projects–a critical analysis of the state of the art. Journal of Computer Assisted Learning, 25(4), 307-331. Gikas, J., & Grant, M.M. (2013). Mobile computing devices in higher education: Student perspectives on learning with cellphones, smartphones& Amp; social media. The Internet and Higher Education, 19, 18-26. Greenhow, C. (2011). Youth, learning, and social media. Journal of Educational Computing Research, 45(2), 139-146. Harasim, L.M. (1995). Learning networks: A field guide to teaching and learning online. Cambridge, MA: MIT Press. Hong, L., Convertino, G., & Chi, E.H. (2011). Language Matters In Twitter: A Large Scale Study. Proceedings of the Fifth International AAAI Conference on Weblogs and Social Media, 518-521. Liu, M.-C., & Huang, Y.-M. (2015). Collaborative experience sharing with the support of M-Learning 2.0: a fundamental framework, a case study and research issues. International Journal of Mobile Learning and Organisation, 9(1), 21-37. Lu, J., Yang, J., & Yu, C.-S. (2013). Is social capital effective for online learning? Information& Management, 50(7), 507-522. Naaman, M., Becker, H., & Gravano, L. (2011). Hip and trendy: Characterizing emerging trends on Twitter. Journal of the American Society for Information Science and Technology, 62(5), 902918. Norman, H., Nordin, N., Din, R., Ally, M., & Dogan, H. (2015). Exploring the roles of social participation in mobile social media learning: A social network analysis. 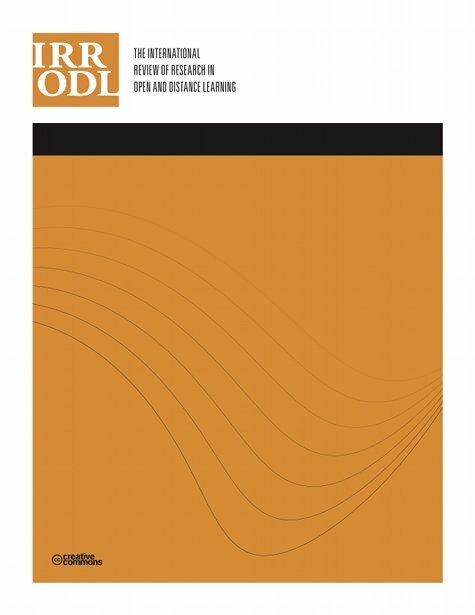 The International Review of Research in Open and Distributed Learning, 16(4). Ostashewski, N., & Reid, D. (2012). Delivering a MOOC using a social networking site: The SMOOC Design model. Proceedings of the IADIS International Conference on Internet Technologies& Society, 217-220. Perth, Australia: International Association for Development of the Information Society. Roblyer, M.D., McDaniel, M., Webb, M., Herman, J., & Witty, J.V. (2010). Findings on Facebook in higher education: A comparison of college faculty and student uses and perceptions of social networking sites. The Internet and Higher Education, 13(3), 134-140. Rothkrantz, L. (2014). New didactical models in open and online learning based on social media. Proceedings of the International Conference on e-Learning, 9-18. Lisbon, Portugal. Sarsar, F., & Harmon, S. (2011). Facebook as an online learning environment: Perceptions of undergraduate students. Proceedings in Society for Information Technology& Teacher Education International Conference, 715-720. Chesapcake, VA: Association for the Advancement of Computing in Education. Shen, C.-W., & Kuo, C.-J. (2015). Learning in massive open online courses: Evidence from social media mining. Computers in Human Behavior, 51, Part B, 568-577. Shih, Y.E. (2007). Setting the new standard with mobile computing in online learning. The International Review of Research in Open and Distributed Learning, 8(2). Shin, W.-Y., Singh, B.C., Cho, J., & Everett, A.M. (2015). A new understanding of friendships in space: Complex networks meet Twitter. Journal of Information Science, 41(6), 751-764. Sobaih, A.E.E., Moustafa, M.A., Ghandforoush, P., & Khan, M. (2016). To use or not to use? Social media in higher education in developing countries. Computers in Human Behavior, 58, 296305. Tess, P.A. (2013). The role of social media in higher education classes (real and virtual) – A literature review. Computers in Human Behavior, 29(5), A60-A68.